Machine learning systems don’t just extract insights from the data they are fed, as traditional analytics do. They actually change the underlying algorithm based on what they learn from the data. So the “garbage in, garbage out” truism that applies to all analytic pursuits is truer than ever. Few companies are already using AI, but 72 percent of business leaders responding to a PWC survey say it will be fundamental in the future. 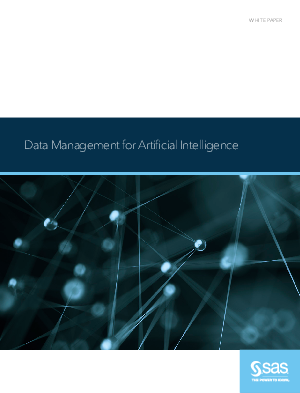 Now is the time for executives, particularly the chief data officer, to decide on data management strategy, technology and best practices that will be essential for continued success.